The Pack is Here! 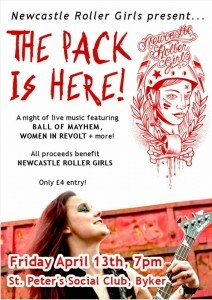 NRG are hosting a rockin’ night of music and dancing in the heart of Newcastle, to raise funds for the team. Being a roller girl is an expensive business! If you enjoy watching us skate come home bout days, why not come along and meet us in the flesh …and help us raise funds for away games! 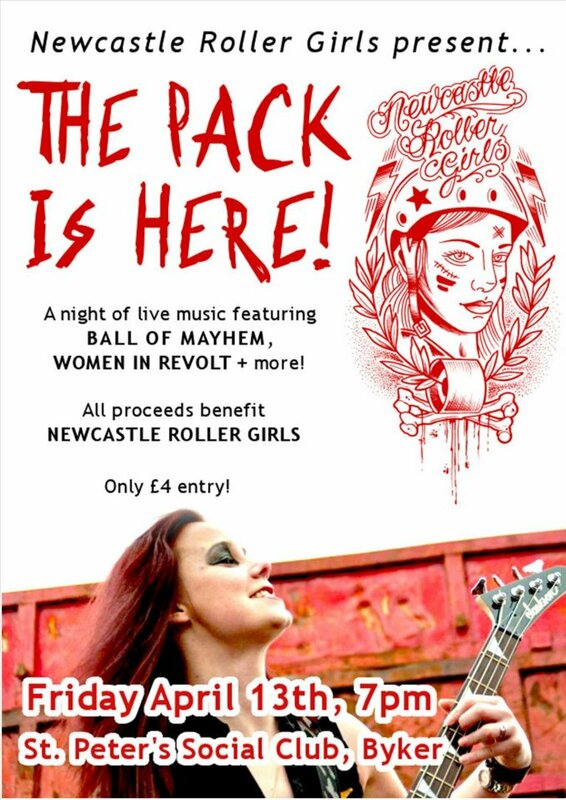 We are holding the event to help us pay for costs we incur while travelling round the country defending Newcastle’s name in the way you know us best for, HARD and FAST! Roller Girls don’t get paid, we’re not footballers on inflated salaries, we pay for everything ourselves, being one of the few genuinely grass roots not for profit sports in the UK. Cake stall with take home boxes! Guess the naughtiest roller girl!